I just bought my first table saw (jet jwcs-10a cabinet saw) and it didn't come with a fence. I would love to drop another $300 for a nice aftermarket one but I'm already in the doghouse for spending too much on the saw. I saw online plans to build a diy out of wood but, I'm weary of how accurate these really are. Any experiences with diy fences or suggestions about other avenues? Tony B, BigJim, shoot summ and 2 others like this. With a table saw fence, accuracy is all in the setup. 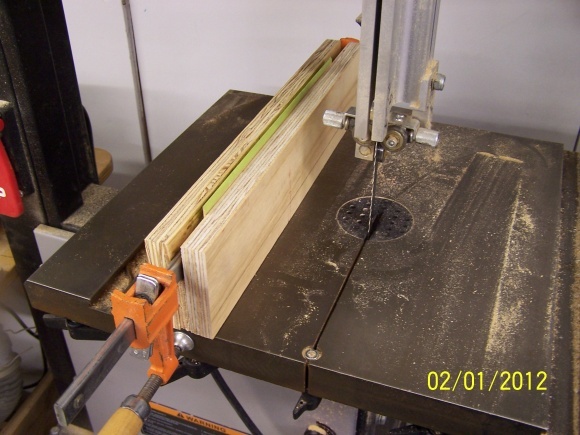 For a pure ripping operation, a straight 2x4 clamped to the table can be just as accurate as the best fence. It is not very convenient to reset, but for a one time use it is good. A "one time use" is not what the OP is seeking, rather a DIY solution that is accurate. Measuring twice and cutting once, is true in a one use setup and would be a PITA for any serious woodworker. No one here has that "system" as far as I know, so it's not a viable solution. I check out the link and from what I understand it if just for the guide rails. It still requires spending $200+ for the T-square. I have found this https://ibuildit.ca/projects/wooden-table-saw-fence/ and it seems within my ability. Hopefully it will suffice until I can get back in good graces. The green "head" is $229.00. The fence rail is 80/20 aluminum, sold separately. It fits on a 2" X 3" steel tube, sold separately. The issue with a DIY fence as you linked is ... You need a table saw with a good fence to make a DIY fence. Just add a "T" square cross piece underneath, and it will "self square" to the table edge. Nutin' fancy. but it works. Total investment ... a long bar clamp. Last edited by woodnthings; 04-15-2019 at 12:26 PM. LOL. You entirely missed the point of my post. Your saw will only be as good as the fence, bite the bullet and get a good used fence, it will only have you in the doghouse for a night or two, but you will be enjoying the saw forever. So a little update. Turns out my saw isn't able to be converted to 110 even though everything I have read told me it could. I don't really want to run 220 to my unattached garage so I think I'm going to try and sell the saw for what I paid for it and find a different one for my shop. I'll make sure the next one had a fence with it. Thanks everyone for your advice. Last edited by Mazz; Yesterday at 10:52 PM.